The Millionaire Next Door is full of simple tips and tricks to help you spend less and save more. 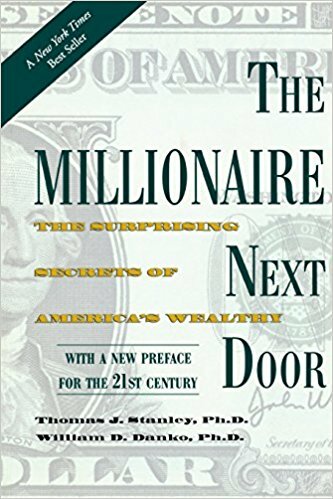 By analyzing the financial habits of many millionaires, the authors of this book managed to identify the exact behaviors that led them to their financial success. We have organized these behaviors into actions and habits that you can implement in your life, starting today! Dr. Thomas J. Stanley began studying the affluent in 1973. Stanley was a marketing professor at Georgia State University, a public speaker and a consultant on selling to the rich. Dr. William Danko is an associate professor of marketing in the School of Business, University of Albany. Gift your children with discipline, ambition, and independence.